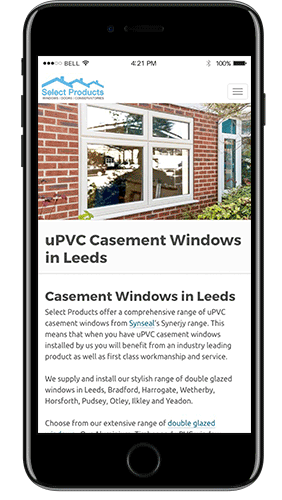 Select Products are a leading double glazing company based in Leeds, who specialise in the supply and installation of uPVC windows, doors and conservatories in the retail sector. Select Products already had a website before engaging with ICAAL. The site was ranking well (Ecoprice) but wasn’t getting the enquiries they needed. 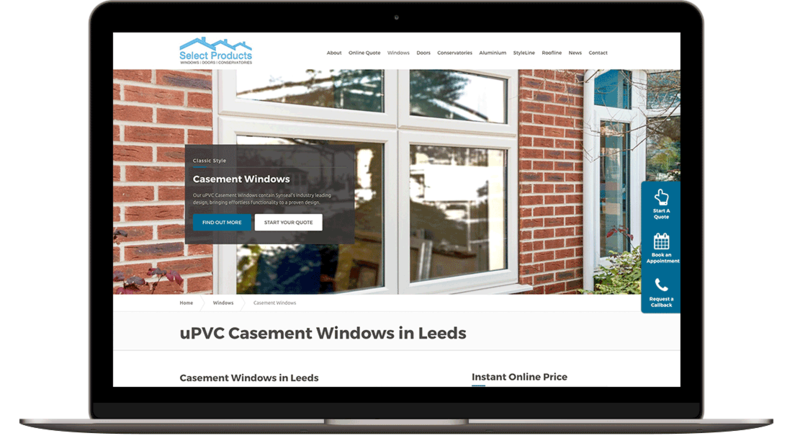 As a result, we integrated our industry leading double glazing quoting engine and carried out SEO, targeting specific locations and key words with high traffic volume. 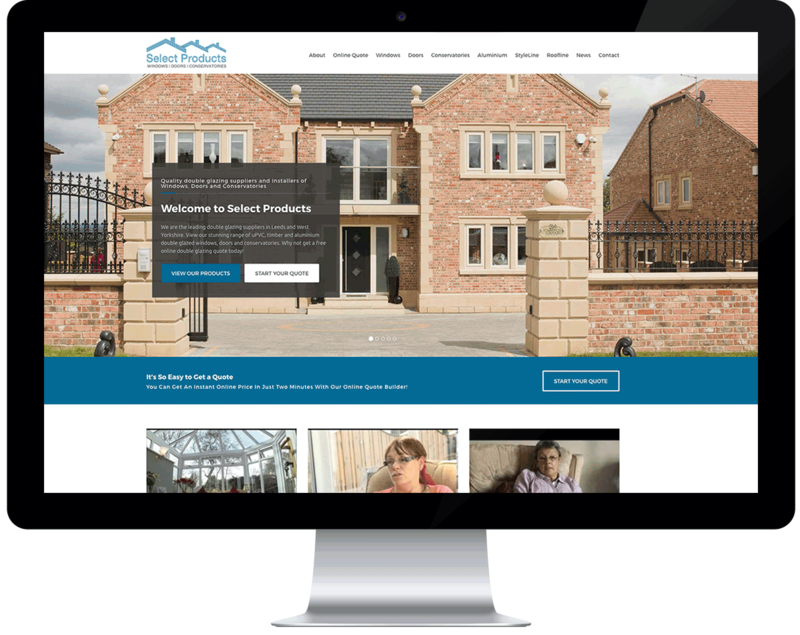 Within a short time, the website started producing more enquiries and the Select Products business started to grow with momentum. Scroll the phone to see more! "Really good digital marketing agency which has helped me grow my business consistently over the past few years. I now have over 5 websites with this company and their expert SEO services have got me to the top of Google for a range of highly competitive key search terms." We also developed a new logo to enhance their existing brand, whilst giving a distinctive and more commercial feel that would appeal to both trade and retail customers. 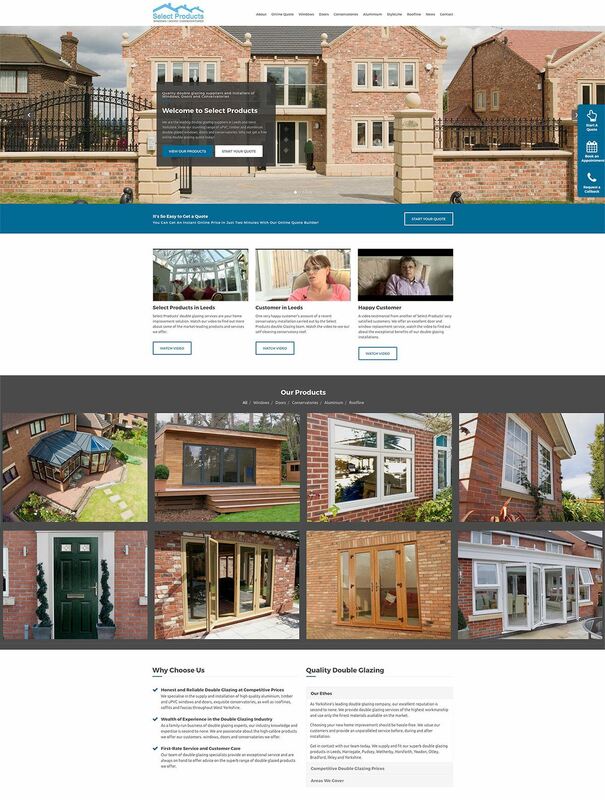 The website is built on WordPress, a user friendly Content Management System (CMS) which allows Justin, the Director of the company, to upload images or change content on the website with ease. 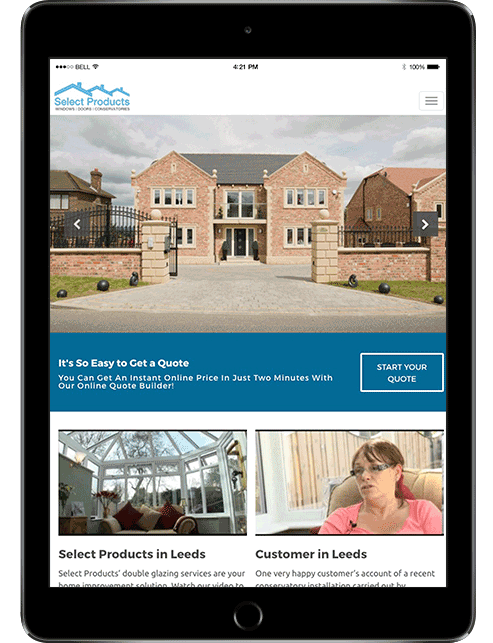 The website has been developed to be mobile responsive, something we offer as standard. 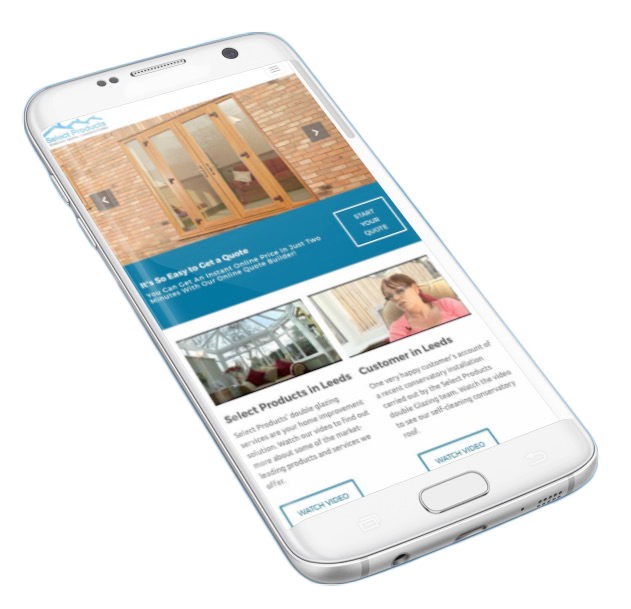 A responsive website allows visitors to access the site across a multitude of platforms such as smartphones and tablets. An important design addition for those looking to reach out to as many customers as possible. At ICAAL we not only build and develop beautiful looking websites, we also provide unique content. Our in house team of copywriters and SEO specialists work to a bespoke specification aimed at optimising your website in the search engine results for key search terms in target market geo-specific locations. For Select Products, we did exactly this and since the initial launch, the website has been extremely well received, ranking on page 1 of Google in the local search results for a variety of top-ranking terms. As you can see from the links above, each of these websites have been specifically designed and optimised to target traffic in geo-specific locations for niche products with the very best margins. This is resulting in better quality enquiries, increased profits and a greater return on investment.